While 2010 is nearing a close, there are still records due out this calendar year that were more than a little excited about. High among them is the upcoming retrospective box set from influential indie pop pioneers Orange Juice. As previously reported, the seven-disc set is called Coals to Newcastle and is being released via Domino. Unfortunately, word came today (October 19) that the release date has been bumped from November 9 to November 22. But just in case that news comes as too much of a bummer for you, Domino has announced it will be rolling out new and long-lost songs, photos, and videos every week leading up to that new release date. 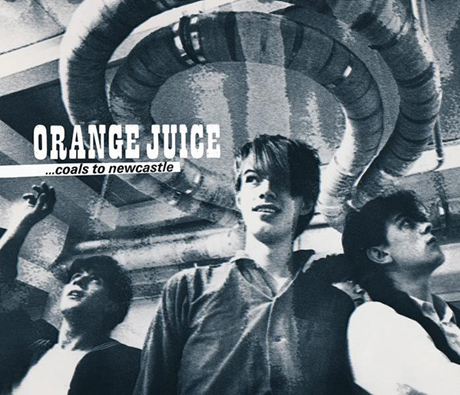 For the first instalment of free Orange Juice goodies, the label has shared five Coals to Newcastle tracks, which you can listen to in the widget below. Next week, stayed tuned for Caledonia Dreaming, the Orange Juice-featuring BBC documentary on Scotland's post-punk pop scene. And while youre at it, you may want to track down OJ frontman Edwyn Collinss stellar new solo album, Losing Sleep, which is out now on Heavenly. You can pre-order Coals to Newcastle here.